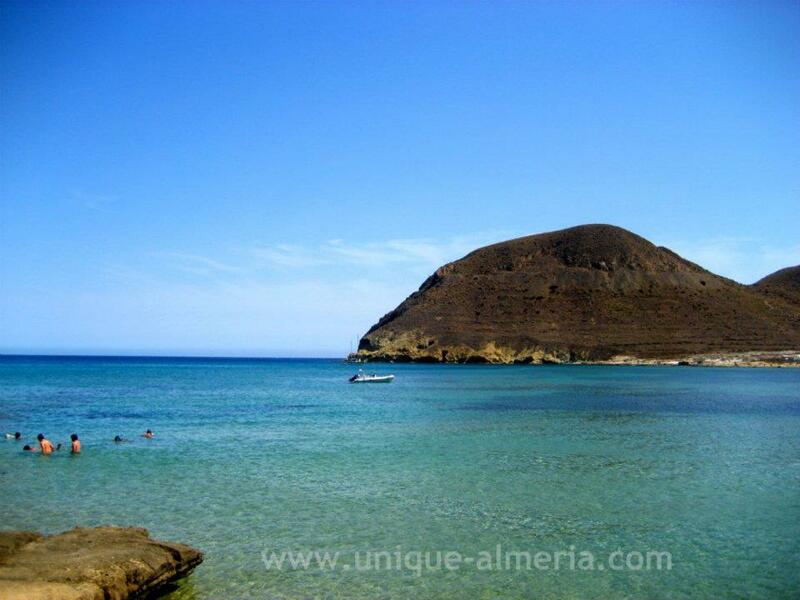 Three kilometers outside the Rodalquilar mining town with its lost gold mine and the many tourist attractions found there, lies this stunning and pristine beach of fine white sand and exceptional environmental conditions. Click on any image to enlarge and run a slide show! In Spanish language, a suffix "azo" is used, expressing greatness or size. So as you can see, this is not just a Playa, but a Playazo. And as its name suggests, it is great and beautiful. Still a place to be discovered! Just like the nearby abandoned gold mines, this beach is a treasure. A quiet place to enjoy direct contact with nature. In the northeast corner you will find a white lava ashes rocks, frequented by fishermen, divers and young adventurers. As at all beaches in the area, nudism is tolerated and respected. 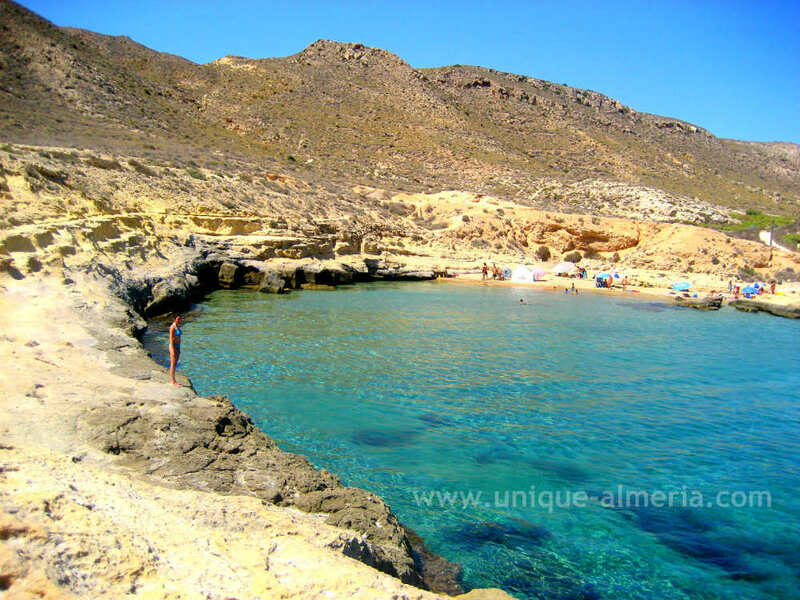 On the right side of the bay you can snorkel and discover the richness of its seabed. As for the underwater views, there is a variety of species, just 15 meters from the beach, including some endangered species like the red sea urchins and jellyfish species. There is also a small cave where we can jump into, with care, in order to dive and return after about eight feet to surface again. A great experience to enjoy. The beach counts on half a kilometer of fine golden sand, with calm surface waters in which to rest quietly and sunbathe on one of the best beaches in the area. Among the things that should be highlighted is the parking lot right next to the beach. 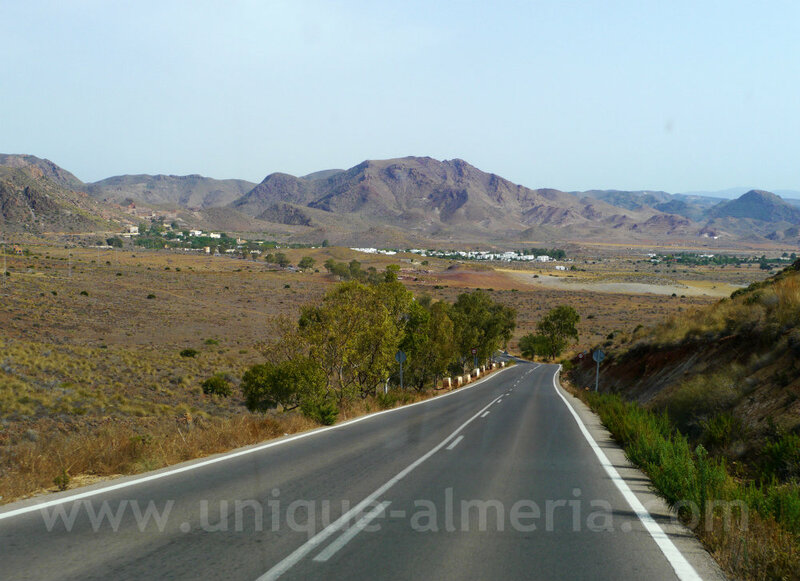 The environment in which it is located reflects the beauty of Almeria, mountains, palm trees and desert. 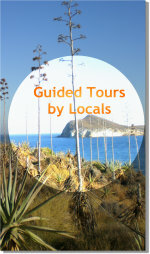 In the area to the right as you face the sea, you can practice nudism. Sand and water are of very good quality. Finally, on your left, there are "platforms" of rocks, ideal to sunbath but also to snorkel. 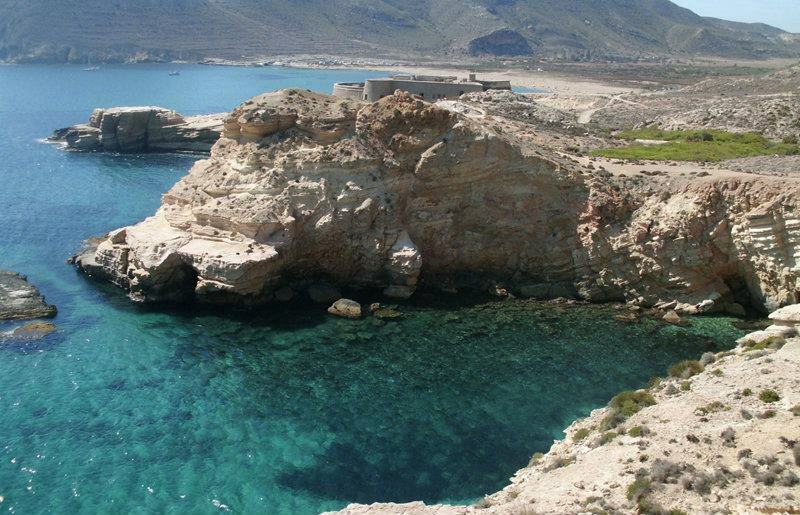 Hanging from the cliff, you will spot the Castle of San Ramon which was built in time of Charles III as a defense of the coast. Today, it is a private property. Last time we visited this beach, we could see several German shepherd dogs strolling on top of the fortress roof, apparently preventing tourists like use sneaking into the building. 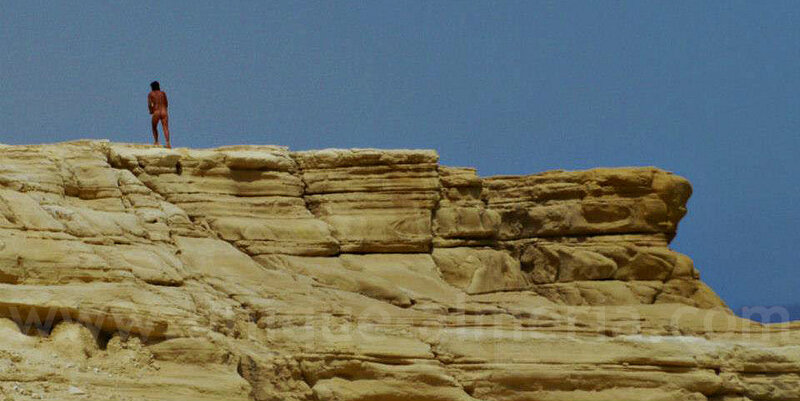 Before arriving at the beach you will pass the Tower Alumbres. 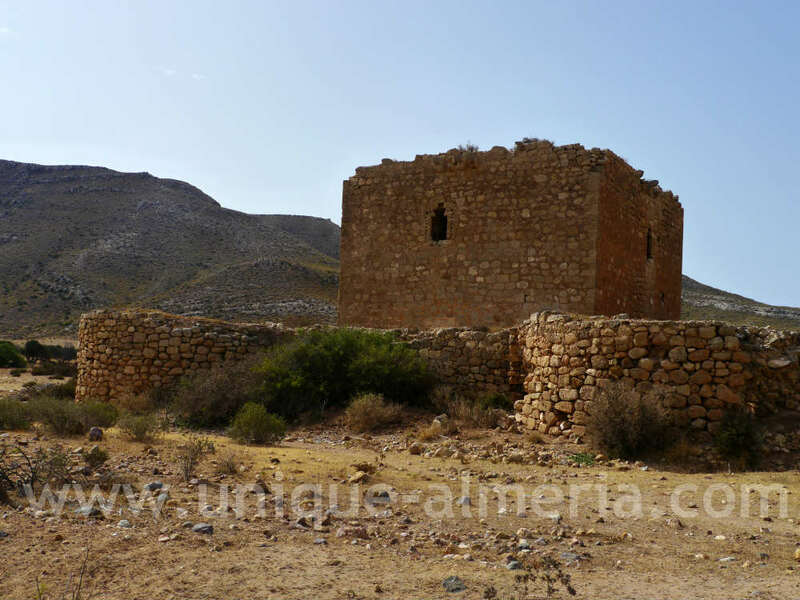 This military fortress was built in 1510 in order to protect the Rodalquilar valley which was the subject to numerous attacks by Barbary pirates, who took advantage of their raids for water supplies, minerals and prisoners to be sold as slaves. Its name comes from the alums, potassium aluminum sulfate, which were exploited in Rodalquilar mines. This fortification was insufficient to prevent an attack by pirates in 1520, during which the population was destroyed and its people captured as slaves, which stopped mining for half a century. After the permanent abandonment of alumn mining in 1590, the tower became a shelter for troops during the seventeenth and eighteenth centuries. In 1764 the defense of the valley was taken over by the nearby fortress San Ramon. It is accessed via a paved trail that starts to the right of the main road coming from Rodalquilar village (well signposted) and after an approx. 1 km drive takes you to a parking spot near the beach. 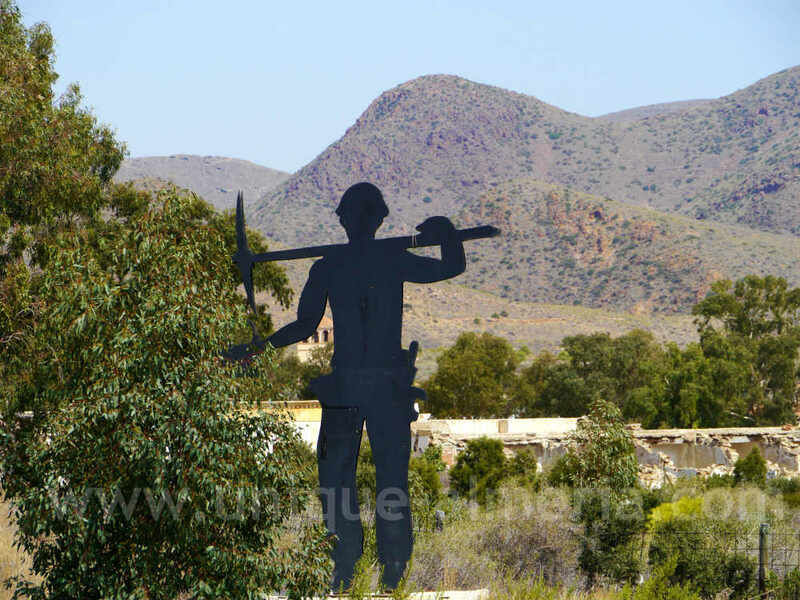 While you are in the area, I recommend you to visit the abandoned goldmines. 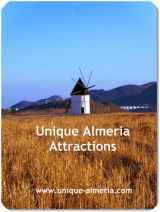 The existence of gold in the district Rodalquilar (Almeria) was discovered quite late, around the year 1936 but due to the Spanish Civil War the mining was delayed until 1942 obtaining 37 kg of gold. Until 1966 Rodalquilar lived its dream, as its population reached up to 1440 people and got to have unusual services like cinema, social club, schools, commissaries.